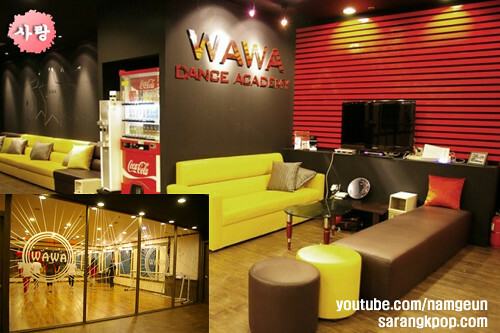 You cannot leave out Rookie and WAWA Dance Academy when you talk about the youtube sensation of Kpop dance. However, there isn’t much info on them you can get on the Net. We sarangkpop wanted to know more about them and here is the stuff we got for you. 1. please, introduce yourself briefly. 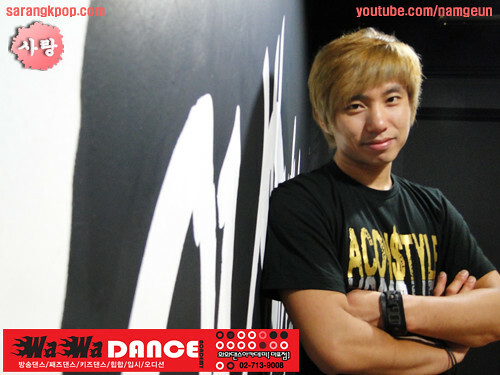 Hi, I am Namgeun Lee (aka Rookie) and running the WAWA Dance Academy. 30 years old. I love dance and hope everyone can enjoy dance too^_^. 2. your nick is Rookie. Any special reason for it? At first, my nick was Rooney and I came to know that it was the same as the name of a British football player, Rooney. So I tried to find some other thing and came up with ‘Rookie’. If I should say the reason, it would be ‘trying to remember when I first began.’. 3. Have you ever been abroad? 4. when did you start dancing? What made you dance? 5. how long do you practice a day? 6. what sort of music do you use for practice, apart from K-pop? 7. do you have a specific dance genre you are currently working on now? 8. which dance style do you think suits you? 9. who’s your favorite kpop artist? I am sort of old, so I love 서태지 (Seo taiji)^^. Some of you guys might not know about him. In terms of dancing, I like Taeyan. My female kpop artist is Boa ^^. 10. who influenced you as a dance? 11. please introdude WAWA Dance Academy shortly. 12. what made you upload k-pop dance videos on youtube? 13. Do you know that your youtube vidoes help international K-pop fans do Kpop dance covers. Your videos are treated like a textbook of Kpop dance. Is it rewarding for you? 14. Did you ever get complaints from youtube visiters or happen to meet people trying to find fault with your dance itself? How did you handle it? 15. what do you think was the best Kpop dance video of WAWA so far? 16. which one is your favorite dance video? 17. which one was the hardest so far?? 18. What do you think is the distinct feature of K-pop?